This is a limited edition 4-color, screen printed poster created for Gallery1998s official Monty Python art show. 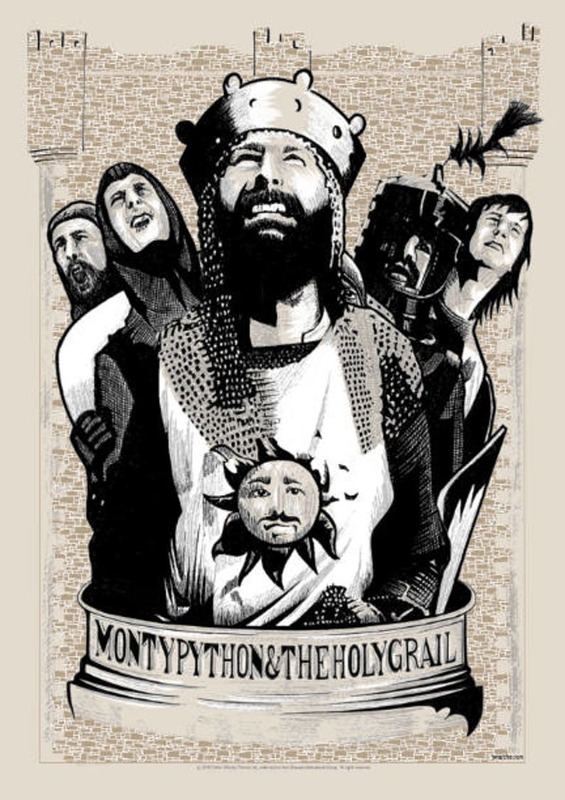 "Monty Python and the Holy Grail" was hand drawn and screen printed at DIY Printing. It measures 18X24 inches. This poster is printed in a small, limited edition of 50 and is officially licensed by Monty Python.